Lindsey B. Case, CPNP-BC joined our Edmondson Pike clinic full-time in June 2015. 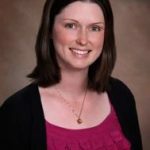 Lindsey is a Board Certified Pediatric Nurse Practitioner and has worked part-time with Tennessee Pediatrics since 2013. Lindsey is a 2004 graduate of Middle Tennessee State University School of Nursing. She worked as a Registered Nurse in the emergency room for 6 years; including 3 years of specialty in Pediatric Trauma. She was awarded a full scholarship to Vanderbilt University School of Nursing where she studied Pediatric Primary Care. 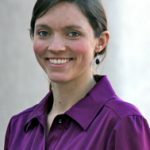 In 2008, Lindsey graduated as a member of Sigma Theta Tau International Honor Society of Nursing and earned Board Certification as a Pediatric Nurse Practitioner from the Pediatric Nursing Certification Board. Lindsey has a special interest in the behavior and counsel of adolescent girls. She is a believer in the importance of vaccinations for children. She is an active member of Northridge Church, enjoys traveling, cooking and spending time with her family.